Grab a hose and run into the fire. Stakeholders know you fell short. What are you waiting for? Look the fire in the eye and sneer. Confidence recognizes challenges. But bravado pretends things aren’t that bad. 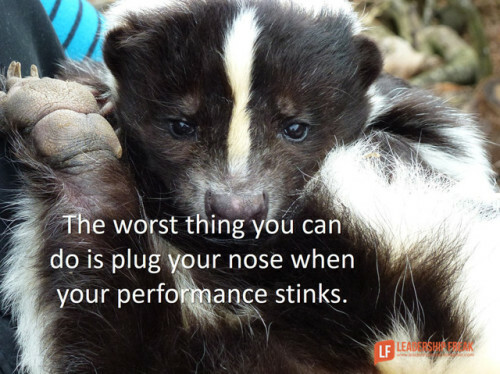 Acknowledge poor performance before others need to convince you it exists.